The 2015 Overdrive 1X QuickLoop™ control system is a fully adjustable control bar featuring our all new QuickLoop™ opening harness loop. QuickLoop™ is an opening harness loop connection designed to work specifically with our 1X single line flagging security system. QuickLoop’s™ defining feature is its ridiculously simple operation of our 1X security system. Upon activation of 1X’s single line flagging system the power of a kite is immediately killed and it will rest motionless on the water or land. The incredibly easy reconnection of the QuickLoop™ harness loop is now the new benchmark in the industry for simplicity. The all new Overdrive 1X security system now has a cleaner method to manage the 1X security line. We have removed the external 8meters of security line to create a simplified lower V connection. The 1X line stopper is integrated into the centerline adjustment strap. It's a real light wind gear, so I can start to ride at 7-8 knots if using 7m extension lines + 160 Nobile Flying Carpet. With 10+ knots easy to go with regular board and line set up. My only concern is a limited wind range if you use it with 2015 bar at least, quite uncofortable if oversheeted, but I beleice it's a bar issue rather than kite. 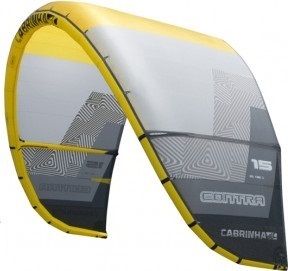 This kite opens up my wind range strapless surfing from 11 knots at 97kg and having a ball. I love this kite heaps of grunt quick for its size. I also have 11& 9 2014 drifters both great wave kites. 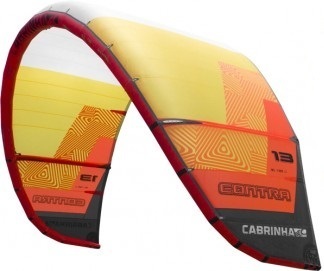 This contra 13 is perfect for me in the lighter days 11-16 knots. 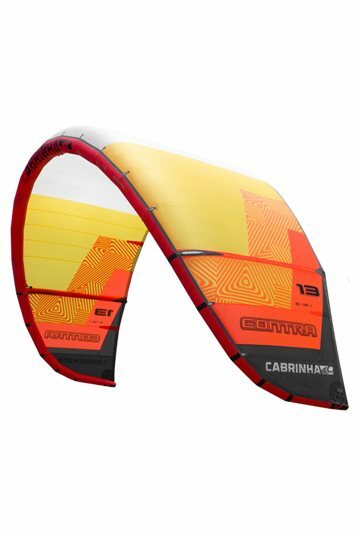 The kite is very light and has heaps of grunt to boost good jumps, drifts well down the line and rips up wind can you ask for any more from a kite. I highly recommend this kite in the waves it's got the balls of a switchblade but is much quicker to turn and being so light construction slack lined and it just drifts into position. The only thing I would say the canopy and construction is so light you need to keep it out of the water for longevity. But that is just better technique, to be mind full when you are upside down under water keep it in the air. I have dropped it a few times and it relaunches better than the drifter. Every session I've had on this I have had a ball.